Because of the incremental improvements in mobile technology, and the ever increasing use case scenarios of a mobile setup, more and more users chose a phone over a desktop computer as the main device. Location-based apps are great because they can be very useful for users, ensuring a higher user retention rate. Most applications have one form or another of geolocation implementation. In case you want a few ideas, we prepared a list with cool implementations for location-based apps. On-demand services and on-demand deliveries take great advantage of GPS functions to locate and connect with the client. Uber and Lyft are the two most popular on-demand transportation apps, and both of them utilize GPS extensively to pair a client with a nearby driver. This location-based app business model could be perfect for a business that's providing tangible products to people. Through such an application, business owners would be able to take orders and fulfill them quickly by guiding the delivery person straight to the client through GPS. The client would also be able to consult the application and get real-time data about the status of their delivery. Such a system would surely provide a great user experience; a reason why business owners should focus more of their attention on location-based app development. When traveling into a city that you're not familiar with, you will end up relying a lot on maps and mobile applications. Geolocation has a great use case in this industry, being able to find the nearest hotel and book it on the spot, from your phone can prove to be of great help when traveling. Even if you don't have a massive booking application such as Airbnb, a location-based app for a local hotel can be a great idea as well. Having a private application for your hotel that your clients could use to find your location and book a room instantly would surely help your brand. Moreover, the management of the hotel could take full advantage of the app's features and send direct notifications to all of the clients about events, promotions, or other important news. In such a tech-savvy world, the implementation of such an app would surely help the hotel create a loyal base of clients. Even if you don't need geolocation to deliver products, you can still use this feature in its most basic form. You can easily implement a map and GPS features in your app to help your customers find your store easier. Leading retailers use this kind of apps to help people find the store that's the nearest to them. Some of the retailers even use such apps to help people navigate inside the store and find the products they need. Location-based apps can be of great help to most users, a reason why their loyalty to your brand could be higher than usual. The use cases of such applications are often mandatory for specific business models but, they can also be a nice addition for any regular business that desires to provide a better user experience. Even if there are a lot more, we mentioned above three cool ideas for location-based applications that can be applied by any business owner. 2018 is over, so it is time to reflect on the best Android applications of the previous year and discuss their greatest features. This is what Google has recently one. All of the named applications have received the Google Play Choice award and are highly recommended for download and use on your smartphone. Interestingly, Drops is among the leaders. The main feature of the application is that it allows you to learn the words of 31 languages, which is simply impressive​. The solution is highly compatible, easy to use; therefore, ranked one of the best solutions on the market. There are also online casinos from https://casinority.com/online-casinos/ that also impress users with their high-tech approach. Let's dig deeper into the final results of the app competition. ● Neverthink - an online video viewing application. ● Learn Spanish with Lirica: Music Language Learning - a music app that helps users learn Spanish. ● MasterClass - an application that offers classes in acting, singing, and cooking. ● Notion - an application for managing notes and to-do lists. ● DRAGON BALL LEGENDS - multiplayer fighting game. Regardless of the mobile user type you are, any of the above mobile applications will be of great use for you. Pick the app, download it to your mob, and give it a try! It has almost become cliché to claim that there is an app for everything now, but at times it doesn't feel far from the truth. Rather than accepting that all the best apps have already been made, developers are finding innovative ways to make an impression on the market. The world of sports apps is highly competitive, with sports lovers keen to find ways to channel their passion while on the move. Through tweaking existing formulas, new sports apps have found ways to enhance streaming and gaming for Android users. Sometimes apps rely on minor technological developments to gain a foothold in the market. Other apps can simply offer something that nothing else can offer. The runaway success of Pokemon Go was driven by the game's unique style, giving players something that they had never experienced for. Eleven Sports are aiming to be similarly revolutionary, albeit in the world of sports streaming. 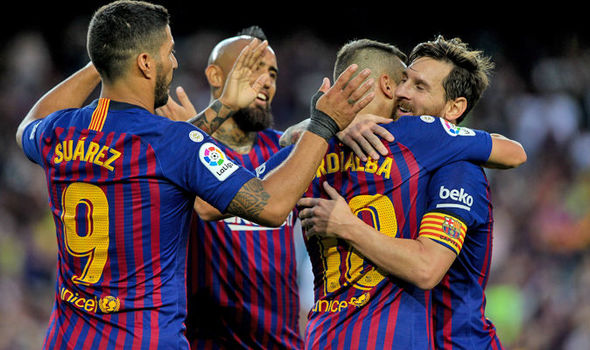 By snapping up exclusive rights to show UK viewers top division football matches from Spain, Netherlands and Sweden, Eleven Sports have suddenly become prominent in a market previously dominated by the same few big names. Their reach extends beyond football, with Eleven Sports offering exclusive coverage of the 2018 PGA Championship. Golf fans downloaded the app in their droves, able to watch the tournament from their Android device and the location of their choosing. Eleven Sports' monopoly on certain sporting events will likely facilitate long-term success for the app. 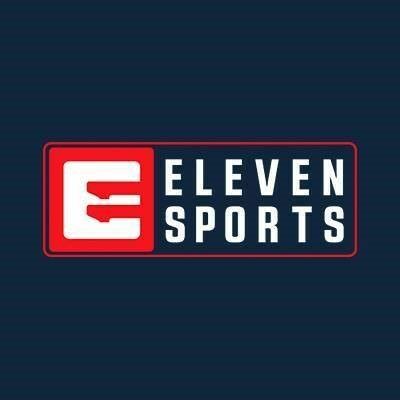 Eleven Sports' logo looks primed to become increasingly prominent in the streaming world. Source: Eleven Sports UK via Facebook. Bookmakers are increasingly expected to offer an app, which is largely due to the rise of in-play betting. Being able to bet on an event as it is happening becomes more laborious if you have to rely on the speed of a browser. However, it's not enough to just have an app. That app has to be quick and easy to navigate, not just in terms of reducing stress but to allow users to catch odds before they change. MoPlay have translated the intuitive layout of their browser site into the app to allow users to access in-play betting markets on the go. Android users can sign up at moplay.co.uk before downloading the app via the website, but they will be rewarded with an interface that is among the slickest and most logical of bookmaking apps. In the crowded market of sports apps, new names like that of MoPlay have to differentiate themselves. MoPlay have done that through their visually appealing layout, with Ketchapp Summer Sports taking a similar approach to their gaming experience. Creating an effective sports gaming app is difficult, considering the gulf in technological quality that is unavoidable when comparing an app and a video game. This is why Ketchapp Summer Sports' approach has proven so popular.Rather than attempting to create something that emulates richly detailed video games, the app's simplistic visuals and gameplay give it a unique feel. The ability to track records in the hope of setting new personal and worldwide bests encourages users to return to the app to compete in a variety of Olympic sports. Most will still go to console classics for the premier gaming experience, but an app like Ketchapp Summer Sports taps into the beauty of sport in a way that makes it the ideal companion for a commute. As app developers continue to push the boundaries, it will be interesting to reflect on the world of sports apps in another year to see what experimentations have since become the default. Why Are Mobile Casino Apps So Popular? The world of technology has made day-to-day tasks rather convenient and has even pathed the way for a hub where users can make online payments, pay utility bills, transfer cash and even shop online. The latest craze to the online world are a slew of applications that connect users to their favourite music, e-wallets, banks, games and more. With that being said, mobile apps are becoming the way of the world and everyone is trying to think of something clever to put into an app format. When online casinos created their own mobile applications that could be downloaded through the iStore and Google Play stores, developers noticed a distinct spike in downloads which the led to the question; "Why are mobile casino apps so popular?" The best online casinos offer a mobile platform that instantly transports users to their existing PC casino account. 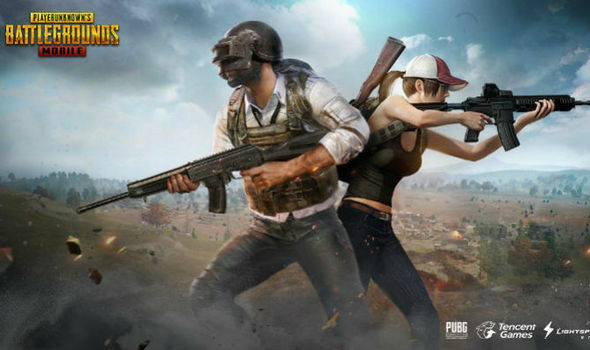 However, through the mobile app, users will also be able to create new accounts and still benefit from all the perks offered to general online players. You can find new slot sites app on shopify. The massive benefit here is that players are able to access games and casinos whenever and wherever they like! Not only are mobile players privy to instant access to their real time casino accounts, but they can also create new accounts by signing up and claiming welcome bonuses or new player deals such as free spins. Although by being downloaded to a mobile device, mobile apps work much in the same way desktop casinos do. They still provide users with sensational cost-effective sign up deals, however as with desktop casinos, players are still required to meet wagering requirements on bonuses. Be sure to check out the terms and conditions of your favourite mobile casino application before trying to withdraw winnings. All the information is provided through the app, as in most cases, the information hub of the application visible for all users to see. Depending on the mobile device used to download a casino app, players may in fact have better graphics and sound quality thanks to modern smart devices supporting high definition graphics and the like. Not only are mobile users treated to optimised design and high resolution sound quality, but they can also enjoy improved buffer speeds making provision for smoother gameplay time and uninterrupted live streaming directly from the game servers to the mobile device. Each casino app update is designed with better software, gaming usability and in some cases, with a variety of new games. Mobile users are able to take their favourite casino games with them wherever they go and may even experience a wider selection of games once the app is updated. Online casinos are continuously adding new functions and games to their mobile apps and are looking to improve gaming quality, so that app users benefit from this in more ways than one. With technology on the rise, smartphones doing the impossible, and a generation filled with millennial's, it's no wonder why mobile casino apps are so popular and why players are checking to see if their favoured casino is available for mobile app access. Tags: why mobile casino apps popular?